Springfield College Giving Day isn't just for those on campus - it's a worldwide event and a chance for the global Springfield College community to come together! Celebrate everything Springfield College and keep up with the latest updates as we launch our 24-hour campaign and show why #maroongives matters. 1. Plan to make a gift between noon on March 6 to noon on March 7, 2019! 2. 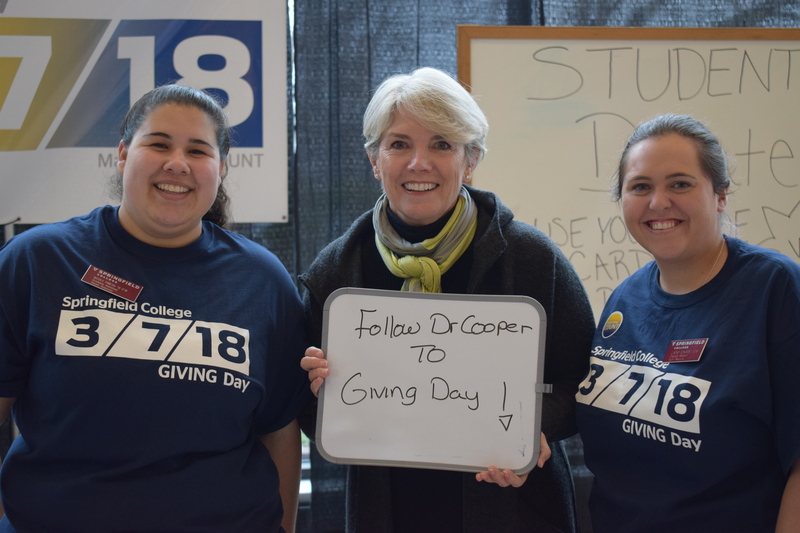 Become a Springfield College Giving Day Social Ambassador. 3. Follow Springfield College Alumni on Facebook (Springfield College Alumni Pride), Twitter (@SCAlumniPride) and Instagram (@sc_alumni_pride) and Springfield College on Facebook (Springfield College), Twitter (@SpfldCollege) and Instagram (@springfieldcollege) for all the latest Giving Day news and updates! 4. Show your Springfield College pride by sharing the images below to your favorite social media accounts and using the hashtag #maroongives!